Easter is just around the corner! And after a long period of fasting, the holiday offers us the opportunity to spend time with family, relax, and indulge in good food. Christians celebrate Easter to commemorate the resurrection of Jesus, while others use the long weekend to welcome the much-awaited spring season. In any case, you should not miss out on a cake or two for your Sunday get together. 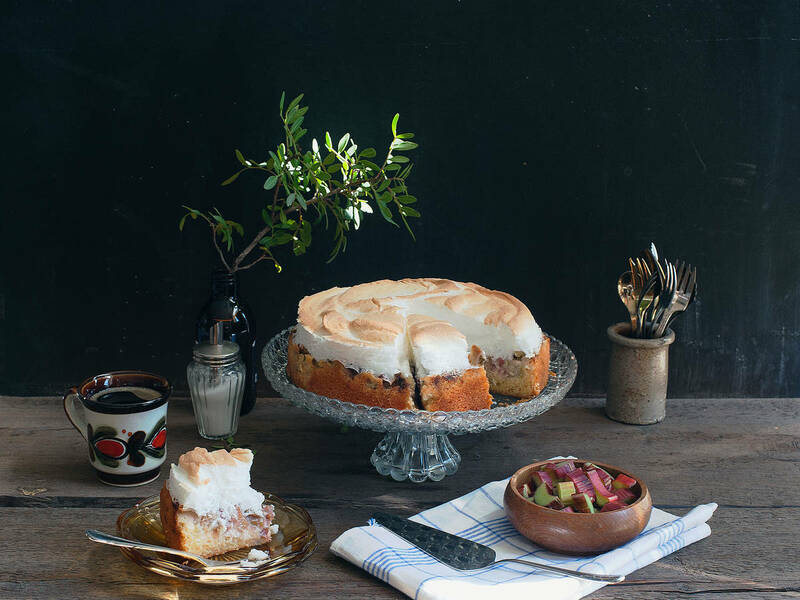 Besides traditional and festive Easter cakes and desserts, April also welcomes fresh and fruity ingredients like rhubarb, lemons, and yogurt, which are perfect for Easter baking. You will taste spring and warm sunshine in every bite! Spring calls for rhubarb! Rhubarb compote or jam are great, but nothing beats fresh and slightly sour rhubarb bits in combination with an almond base and a sweet meringue topping. This cake is much easier to make than it looks - and almost too pretty to eat. Lemon curd is a British all-rounder! Whipped up in no time, this creamy curd can be used as a delicious spread or cake filling. With the help of ready-to-bake strudel dough, you can make these little Strudel cups shine with a fresh citrus touch. Make way for this classic Easter favorite that everyone will enjoy! A cake that should be in everyone´s baking repertoire and that is so melt-in-your-mouth-moist, it will never fail. Welcome spring with loads of carrots and a divine cream cheese frosting. The only things prettier than this cake are the actual flowers blooming outside! True to say that strawberry season is not right around the corner, but who can resist this fluffy sponge cake, also known as Angel cake. Whipped cream and any fresh fruits are a winner with this cake. To make it extra fluffy, make sure to not overdo folding the egg whites into the egg yolk mixture, otherwise the cake will come out dense and short. Combine white chocolate and cream cheese to get a smooth and creamy cheesecake without having to turn on the oven. The only hard part is waiting for it to set. Your Easter visitors will truly be pleased!